Transitioning from summer to fall in South Florida (and in the majority of the South for the matter) is often times a challenge for the trendsetting and stylish woman. It requires a certain subtle understanding of pairings and balance, and by this I simply mean mixing fall colors, weights, and textures of the new season pieces with lighter resort or summer staples. But this balancing act doesn’t have to be complicated or terrifying; in truth it’s the mark of possessing true style sensibility, and not just posing as a fashion copy cat. And that is precisely why I have been so drawn to JORD Watches this season. JORD creates watches that are stunningly executed in both strength and durability, but their attention to delicate and eye catching detail make these timepieces standout with supreme style. 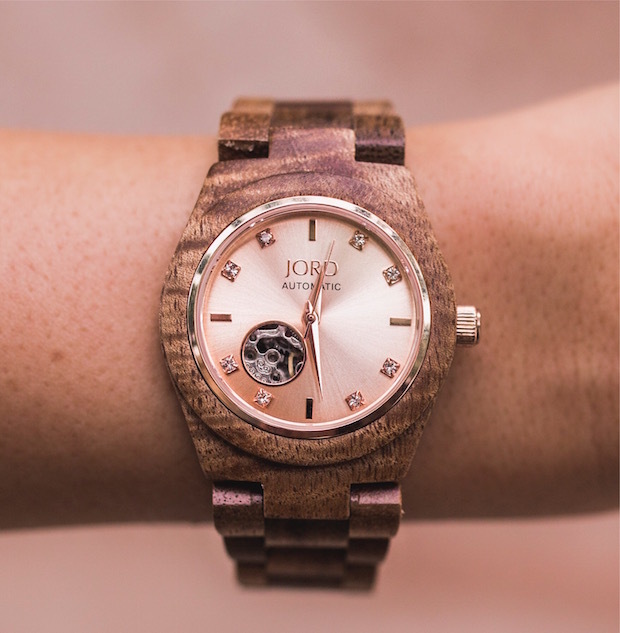 JORD is made up of a team of artists and designers dedicated to sustainability and efficiency, but who are passionate about making sure your watch tells something much more than just the time. 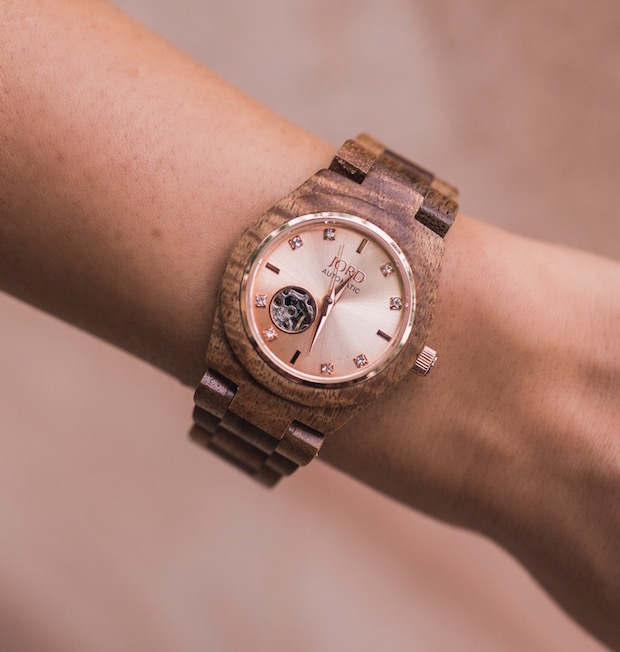 The watch I was drawn to the most this season is from their Kora series, which features a sturdy Hawaiian Coa wood band with a delicate rose gold and rhinestone detailed face. It’s rugged and refined, elegant and edgy, and entirely modern. The watch glows just enough to look incredible with my ever growing blush uniform, and I’ve found that it’s accessory that can work just as well at sunset cocktails as it does at my desk. I love how it pops off of any grey tone, and mixes with all metals when I create an arm stack. The watch face reminds me of vibrant October skies, and the wood band makes me dream of falling leaves and crisp air when the humidity here in Palm Beach is still stifling. I can see this watch looking infinitely cool against any rust or umber tones (which is all I seem to be drawn to buying lately) and amazing against a rich tan and white bikini at the beach. Given that my JORD watch is quickly becoming a fall staple, I am so excited to be able partner with JORD in their October contest to offer one lucky winner a JORD watch of their own! To enter, CLICK HERE and fill out your info with your watch preference. Contest runs through the weekend, but ENDS ON SUNDAY (as in THIS Sunday October 23rd) so head on over to their site HERE or check out their stunning instagram to see all the best styles. You can enter to win by clicking HERE . Good Luck and leave me comment bellow if you enter! I’d love to know your favorite style.